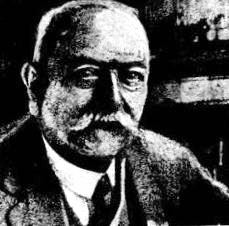 Auguste Baron was one of the first to experiment with sound films. Born in Paris in 1855, his studies were interrupted by the war of 1870 and the Siege of Paris. He took lessons in photography before military service. 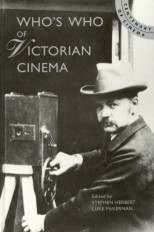 Working on electrical installations at the Casino de Paris in 1895, he came upon an Edison Kinetophone, and became interested in the possibilities of combining motion pictures with sound. In 1896 he patented (with Fréderic Bureau) a system of shooting and projecting sound films, recording on a wax cylinder. In 1898 he filed a second patent for an improved arrangement and produced, with cameraman Félix Mesguich, several short films in a specially arranged Graphophonoscope studio at Asnières-sur-Seine. Some productions were shot on a special 50 mm film, and projected on a machine with a double-lens arrangement to project images alternately (to reduce flicker). An electrical device on the motor-driven camera regulated the cylinder recorder to maintain synchronisation. The system was able to record a four-minute sequence, with four carbon microphones providing the signal for the electro-magnetic cutting needle. Baron gave a projection demonstration to l'Academie des Sciences in 1899, with a film of an actress singing, but lack of financial aid forced him to abandon further development. He took out numerous other patents in the fields of photography, film and other technologies including one in 1896 for a film perforating machine. He died at Neuilly-sur-Seine in 1938.